Those who have seen Yang Li-chou’s film Father will almost certainly remember the scene in which a puppet uses a seal. The puppet picks up the seal, turns its head to study the seal’s engraving, then presses it down on a document with both hands, its shoulders turning slightly to add more pressure. The puppet is operated with such skill and artistry that viewers sense the small movements of the muscles and joints beneath the puppet’s clothing. The scene is just one example of the mastery of his art shown by Taiwanese national treasure Chen Hsi-­huang, the subject of the film. 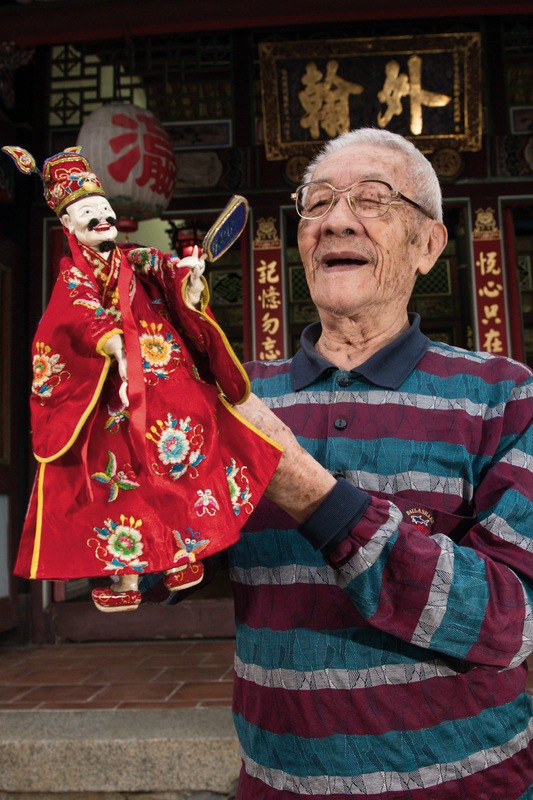 Chen Hsi-­huang may be 87 years old, but he still leads the Chen Hsi-­huang Traditional Puppet Troupe in a relent­less effort to pass on his art. 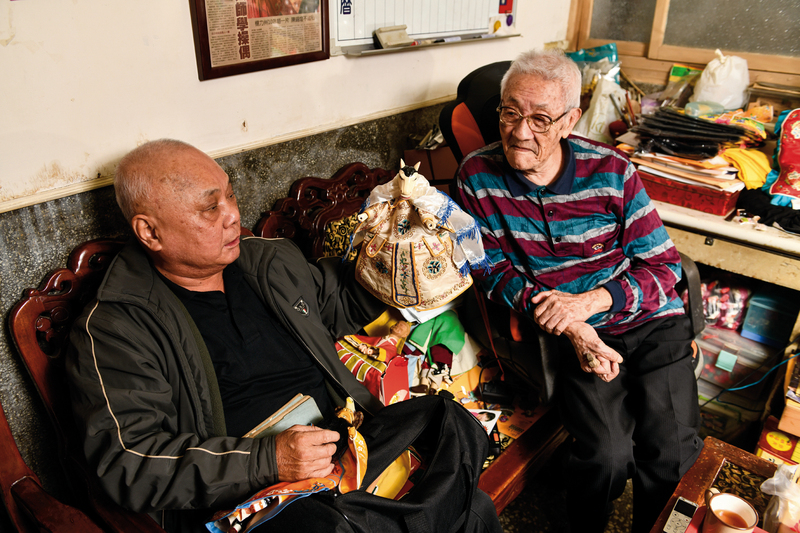 Many years ago, he led a troupe called Hsin Wan Jan (“new Wan­ Jan”), an offshoot of the I Wan Jan Puppet Theater troupe founded by his father, the renowned glove puppetry master Li Tien-lu (1910—1998). 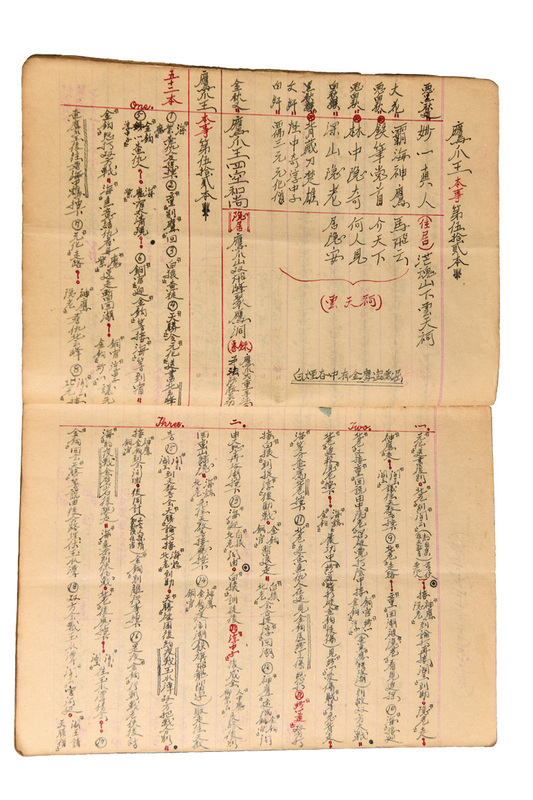 Chen bears his mother’s surname because Li had entered into a ru­zhui marriage, a tradition whereby the bridegroom is adopted into the wife’s family and their eldest son takes his mother’s family name, enabling parents-in-law without a male heir to continue their family line. Given Chen’s family background, a career in puppetry was virtually assured, but Li and Chen shared a difficult relationship. In spite of his lineage, Chen maintained a relatively low profile until he was nearly 80 years old, when the looming prospect of traditional puppetry’s extinction inspired him to form a troupe expressly dedicated to reviving this Chinese art form that had been raised to new heights in Taiwan. Chen was born in 1931, the same year that his father founded his domestically and internationally renowned I Wan Jan Puppet Theater. Puppets filled Chen’s life from its earliest moments. He and the other puppeteers of his generation, including his younger brother Li Chuan­-tsan (1945—2009), ­Zhong Renbi (b. 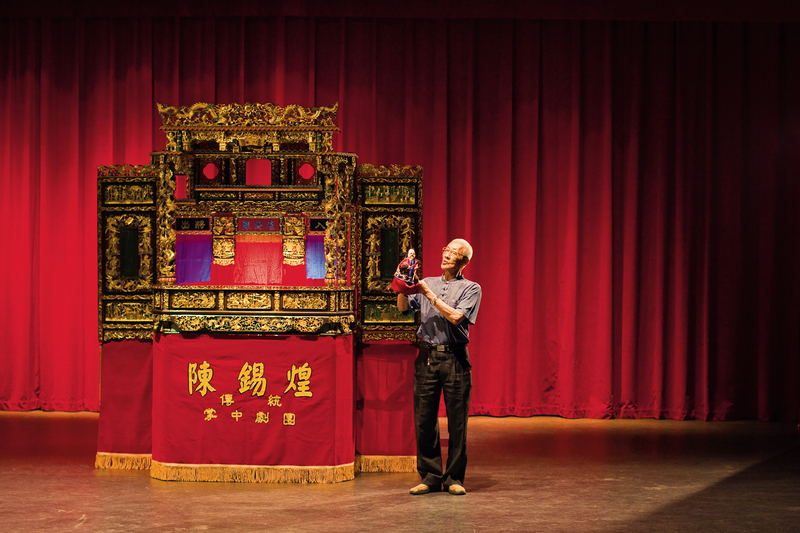 1932), who founded the Hsin ­Hsing Kuo Puppet Show Troupe, To­shio ­Huang (b. 1933), son of the founder of the Wu­zhou­yuan puppetry troupe, and Xu Wang (b. 1936), son of the founder of the Hsiao Hsi Yuan Puppet Theater, collectively ushered in the golden age of Taiwanese glove puppetry. In the Taiwan of the 1960s and 1970s, there were few entertainment options beyond theater. Back then, glove puppetry troupes had engagements nearly every day, and as soon as they finished an engagement at a village temple, its management would re-book them for the following year. “We would have a full slate through the next year.” As a result, performers lived hectic lives. Chen recalls operating on a two-shows-per-day schedule that required them to hustle out the door right after lunch to set up, and that kept them out late into the evening. The daily grind was bad enough, but there was also a good deal of uncertainty. Programs were often put together on the spot after casting moon blocks to divine which play the gods wished to see that day, so troupes had to bring all of their props to every show, just in case. Things are different today, and students have limited opportunities to learn all their teachers know. Chen doesn’t hold anything back when teaching his art. One of his techniques is to not let students look at a script; instead he simply tells them the basic elements of the story. “Once they’ve internalized the story, they can produce their own living versions…. That’s how you perform with feeling,” he explains. “Since glove puppetry’s earliest days, its audiences have focused on listening to the opera and listening to the narration. Nobody used to pay much attention to the puppets themselves,” says Chen. 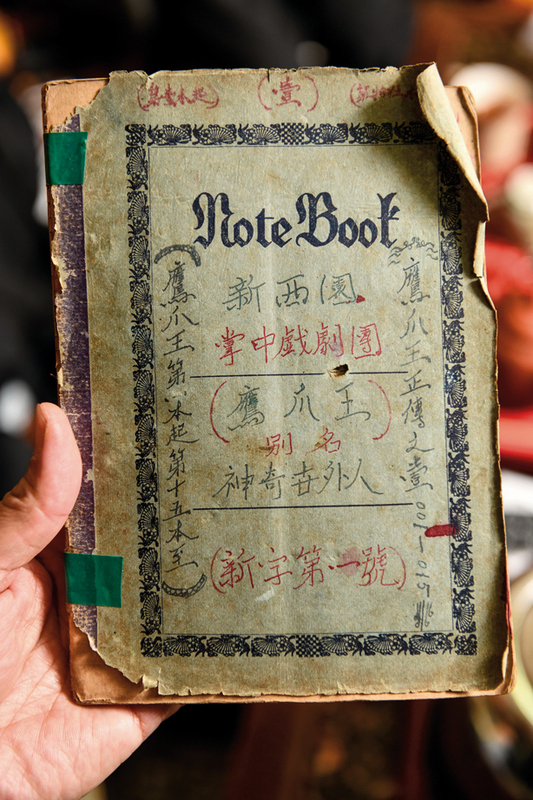 To enable foreign audience members who don’t under­stand Taiwanese to follow the narration, he reworked his signature A Chance Encounter Leads to Marriage by removing the narration and telling the story through movement alone. The three puppet roles—­sheng (young man), dan (young woman), and chou (clown)—win the audience over, while the finer points of the performance highlight Chen’s innovations to the art form. His sheng character is elegant and romantic. He strolls, fans himself, and even uses his puppet fingers to unfurl the fan. Chen enlivens his dan character with even more intric­ate and difficult movements, making the puppet pull her long black hair over her shoulders so she can comb it, and then flip it behind her back again in a very lifelike way. His chou holds a fan, skips when he walks, sits with his legs crossed, puffs on a pipe, and scratches and taps his head, revealing his personality through his movements. The main focus of Chen’s puppetry is “life.” He wants his puppets to resemble people in all respects, including their postures, expressions and movements. He also has a habit of describing what he wants from his puppets in terms of “asking” them, revealing a master’s deep respect for the art he practices. 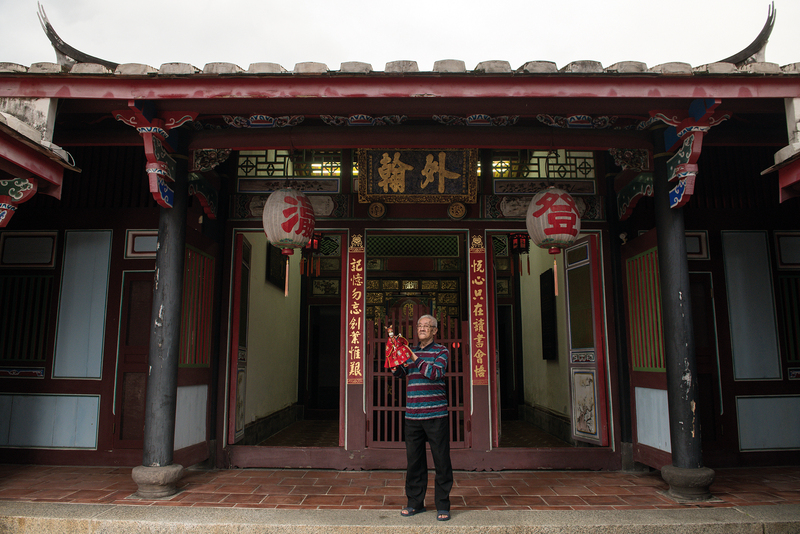 Chen Hsi-­huang recalls a recent show at which a graduating apprentice named Chen Guan­lin had the headlining spot on the program, and at which he himself had a guest slot performing a plate spinning routine with puppets. Ever the professional, Chen Hsi-­huang kept the audience on the edges of their seats by pretending to nearly drop the heavy ceramic plates he held precariously balanced on sticks. “It made for a better show,” says Chen, a veteran of innumerable outdoor performances who knows well how to make them entertaining. 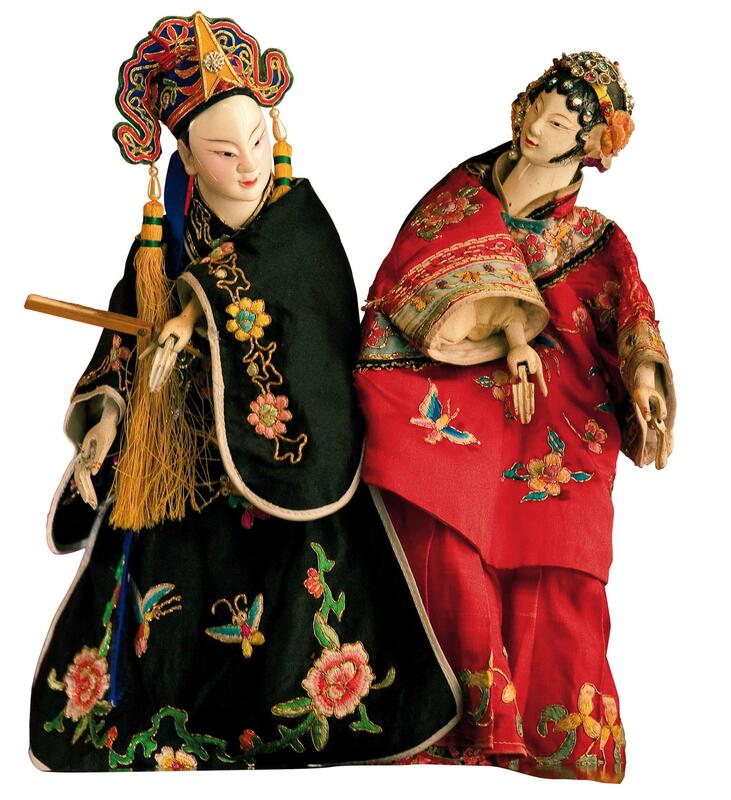 Traditional puppetry began its decline when the jin­guang (“golden light”) style took over the mainstream in the 1970s, and continued its decline with the emergence of the pili (“thunderbolt”) style. Beginning in 1984, Chen and his younger brother Li Chuan­-tsan spent 13 years teaching traditional puppetry in schools. 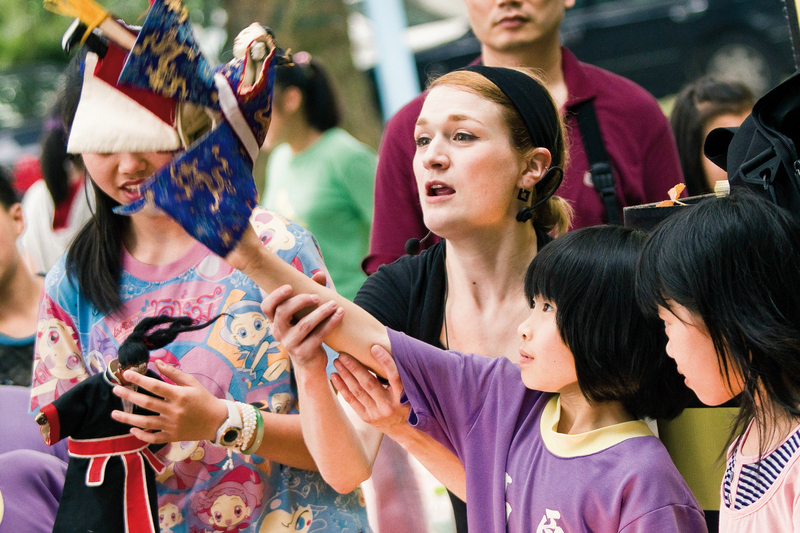 A number of Chen’s students have gone on to create their own offshoots of the I Wan Jan family, with Wu Rong­chang establishing the Hong Oan Jian Classical Puppet Troupe, ­Huang Wu­shan establishing the Shan Puppet Theater, and France’s Lucie Cunningham (née Kelche) also applying the skills she learned from Chen both as a puppet maker and a puppeteer. Chen holds nothing back from those willing to study. Believing that traditional puppetry is still a vibrant art form, and that students need the practical experience of performing to hone their skills, he has also been hoping for financial support from the private sector. Even so, it was widely known that he and his father had little to say to one another. He says in the film that he speaks instead to the General Tian, the god of theater. “I talk to General Tian every morning, asking him to help me find customers, to look after my students and their students, and to encourage them to train harder.” Yang Li-chou’s interpretation of this relationship is that General Tian is Chen’s philosophical father, adding another level of meaning to the film’s title, Father. “Nothing happened. I just performed with three puppets. When I finished, everyone stood up and applauded.” Throughout our interview, Chen had been lackadaisical in his responses, but he spoke feelingly about this moment. 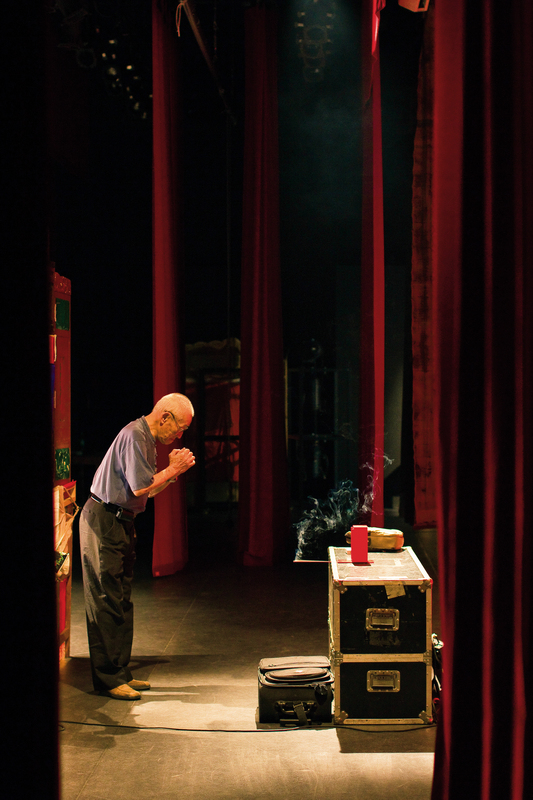 In 2009, the Council for Cultural Affairs (now the Ministry of Culture) designated Chen an “important preserver of traditional puppetry.” In 2011, he was named a “preserver of traditional techniques for making glove-puppet costumes, hats and props.” But the most moving moment in this living national treasure’s life didn’t involve an award—it was instead the time he received a real response from an audience. During Yang Li-chou’s filming of Father, Chen thought of giving the red box containing his General Tian statue to French puppeteer Lucie Cunningham. Speaking at a post-screening Q&A, Yang recalled Chen telling him: “I suddenly feel like a Boxer, and wonder how I can give something like this to a foreigner.” But Chen has come to see glove puppetry as a cultural treasure for all of humanity, one that must be conscientiously cared for. 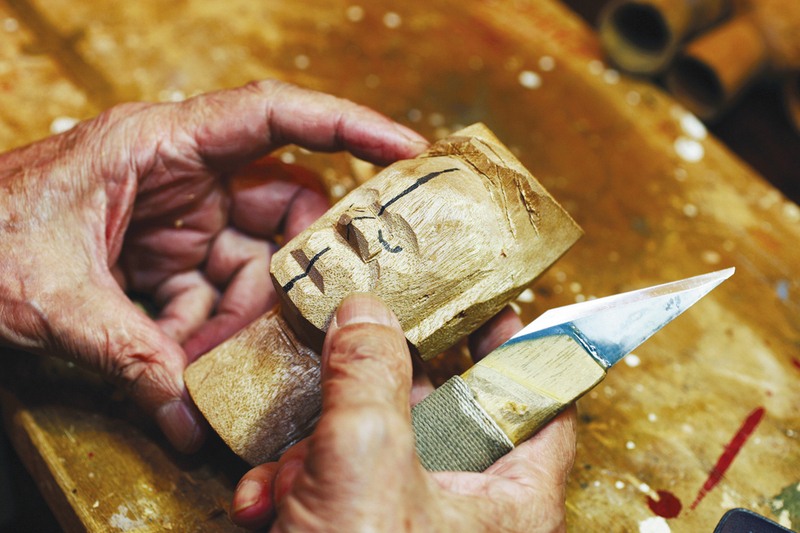 Polished to a brilliant sheen in Taiwan, it is an art form we should cherish and respect.